These look and function like common side release buckles but are designed for 3D printing (without supports). The original Nexus fast release design has a number of edges that require support and thus extra work for the 3D printer :>(. Great for any 3D projects requiring a belt four sizes are included: ½ inch, 5/8 inch, ¾ inch and one inch. The female piece has extra loops for a more permanent lock on the belt material whereas the male end is quickly adjustable. Works well with nylon or elastic webbing. I iterated on the design quite a few times and this is version 12. If you see any improvements that could be made your comments are appreciated. The files are not scaled versions of each other as belt thicknesses have been accounted for. I printed them on a $200 makibox printer in ABS at .3 and .4 millimeter, so the photo looks a little rough :>). 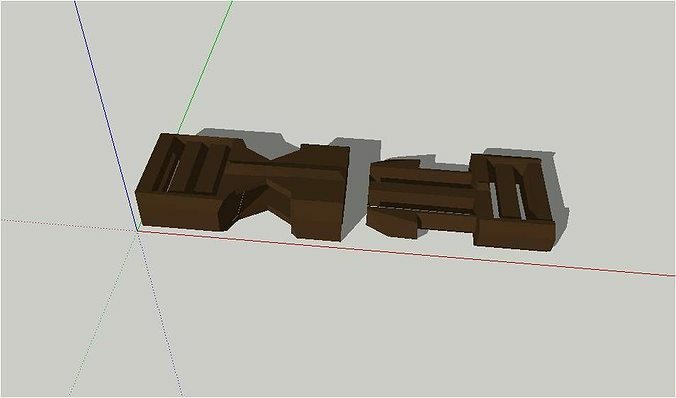 Each pair can be printed as laid out in the stl file with the female piece printing on edge. Good bed adhesion is needed or use a small raft in your software settings. I would sell for less but $3 is the minimum. If you email me I will give $2 back.